Andrew’s wide skill set in Information Technology means he can troubleshoot most computer problems quickly. His experience ranges from desktop and remote user support, to full corporate deployments utilizing both virtual and physical machines and can use those skills to support small business networks through large corporate networks. 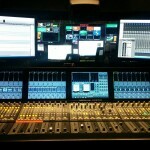 Add to this Andrew’s extensive Broadcast Engineering experience, and he becomes an invaluable asset to any company. Andrew has extensive experience deploying and managing both Active Directory & Microsoft Exchange environments. Andrew planed and supervised the Back9Network’s migration to Active Directory accounts, and the move from an externally hosted email solution to an in-house Exchange deployment. Working with Back9’s primary IT vendor for Back9, Andrew also managed the segmentation of the corporate network into various VLANs, deployment of several specialized devices, deployment of several virtual servers including a FTP/File Transfer system used primarily for accepting broadcast material from advertisers. Gone are the days where one could add a broadcast device to a facility by simply connecting Audio, Video and Sync; these days broadcast devices need to connect to the company data network (as well as the correct VLAN), the correct flavors of Audio (Analog, AES, MADI, embedded), Video (Analog, SD-SDI, HD-SDI) and Sync (Analog, Tri-Level), as well as other control devices (KVM, Broadcast Automation, File Transfer Systems, etc). 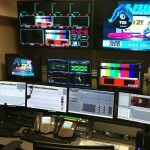 Andrew helped design the Back9Network Studios as a 100% tapeless environment. Accessing your systems from a central location is critical to smooth operations and an efficient workflow. 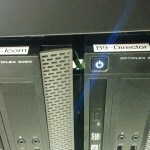 Andrew worked with Back9’s System Integrator and IT Vendor to deploy an IP KVM that spanned across our network to support both the Back9 Studio and the Back9 Offices which were located in different buildings.